Chickpeas and a female engineer? The first graders read a book about Raye Montague, the female engineer who created the first computer-generated rough draft of a naval ship, and participated in an activity where they were able to design and build their own structures. 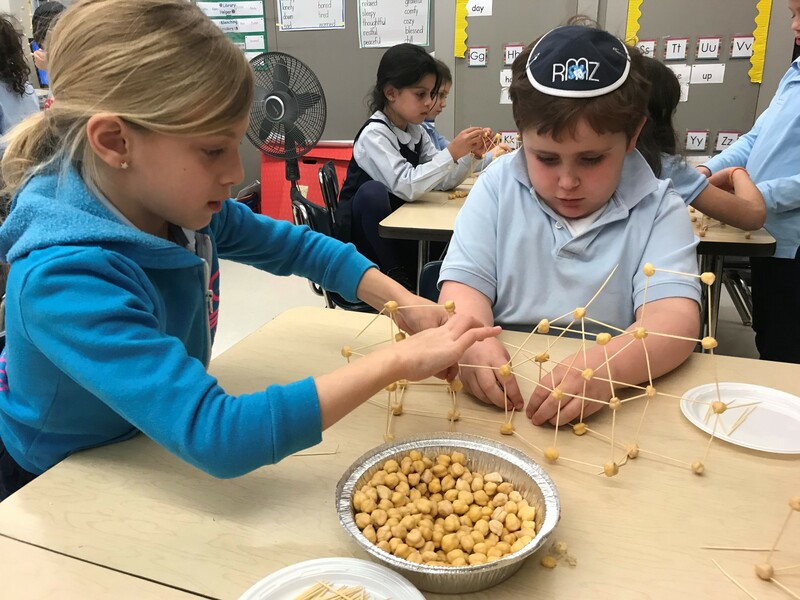 After discussing the attributes of some flat (2D) and solid (3D) shapes, the students put their building skills to work as they designed and built their own 2D and 3D structures using chickpeas and toothpicks. It was amazing to see how well they worked together and how proud they were of their creations.